Trio Bulgarka (also known as 'Three Golden Coins', previously known as 'Bulgarka Folk Trio') is a Bulgarian vocal ensemble, consisting of Stoyanka Boneva, Yanka Rupkina and Eva Georgieva. Their diversity of regional backgrounds - they came from three different Bulgarian regions - enabled them to create a unique sound to their music. They signed to record labels Bulgaria Balkanton and Hannibal in 1987. In 1988 their debut album 'The Forest Is Crying' was released. 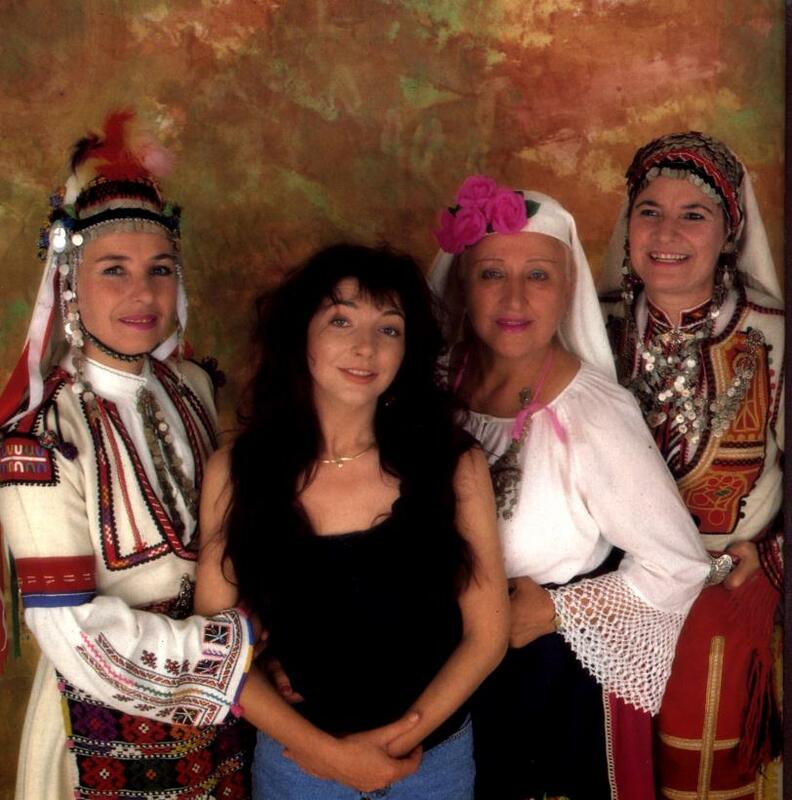 Kate Bush apparently heard this album - and its predecessor 'Le Mystère des Voix Bulgares', which the Trio contributed to and which was released in the UK in 1986 - and wanted to use the trio on recordings for her 1989 album The Sensual World. They sang on three tracks: Deeper Understanding, Never Be Mine and Rocket's Tail. In 1993, they also appeared on the songs The Song Of Solomon, Why Should I Love You and You're The One on the album The Red Shoes. The trio have since concentrated on solo projects but often reform for concert appearances. Trio Bulgarka. Wikipedia, retrieved 26 January 2016.